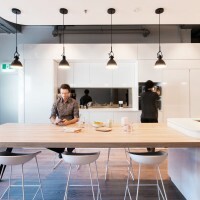 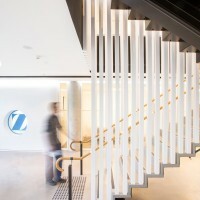 Architect and interior design studio Gray Puksand have completed the Australian head office for Zimmer. 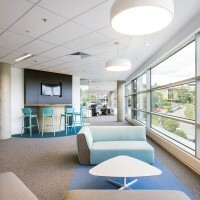 The office comprises two work floors and one warehouse/logistics level which houses several departments and staff facilities. 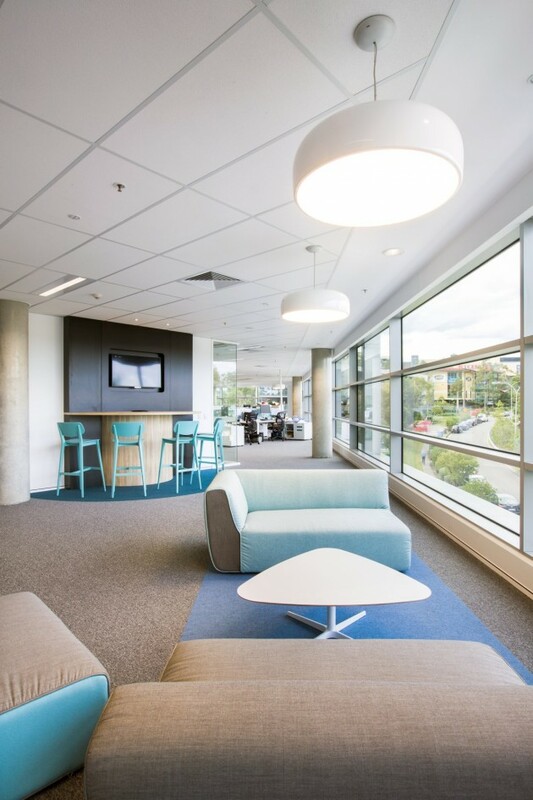 Relocating from an existing workspace the client had occupied for over 10 years provided an opportunity for dramatic change and growth within the company. 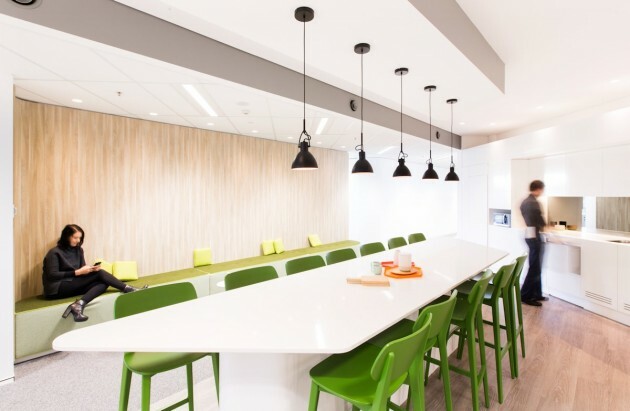 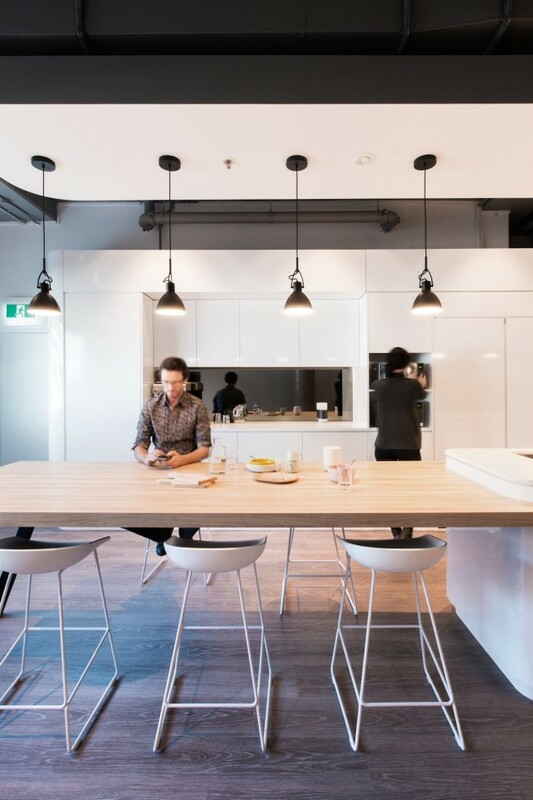 The client’s goal was to create a workspace that encouraged and enabled cross-pollination of departments and communication within teams. 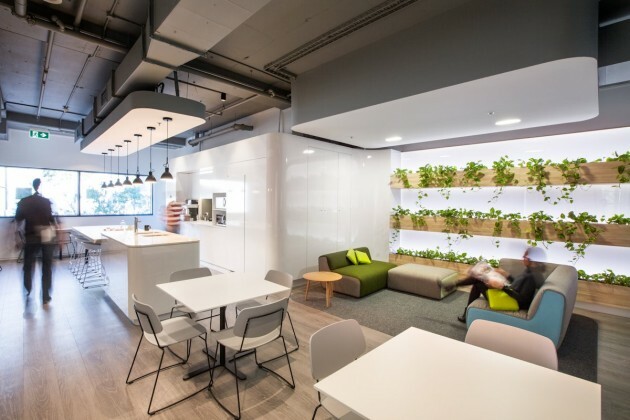 Dotted through the workstation and office zones are various meeting and collaborative spaces, especially designed to cater for each department’s specific requirements. 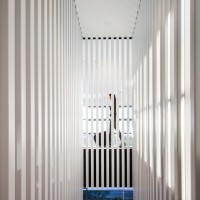 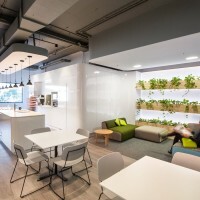 Each of the work floors enclose a central breakout area that reflects a ‘home away from home’ atmosphere and enhances the individual’s connection to the dense forestry visible through the perimeter glazing. 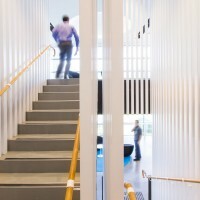 Through the implementation of a central internal staircase, the two work floors are linked to ensure connections between departments are created and communication throughout the company is increased. 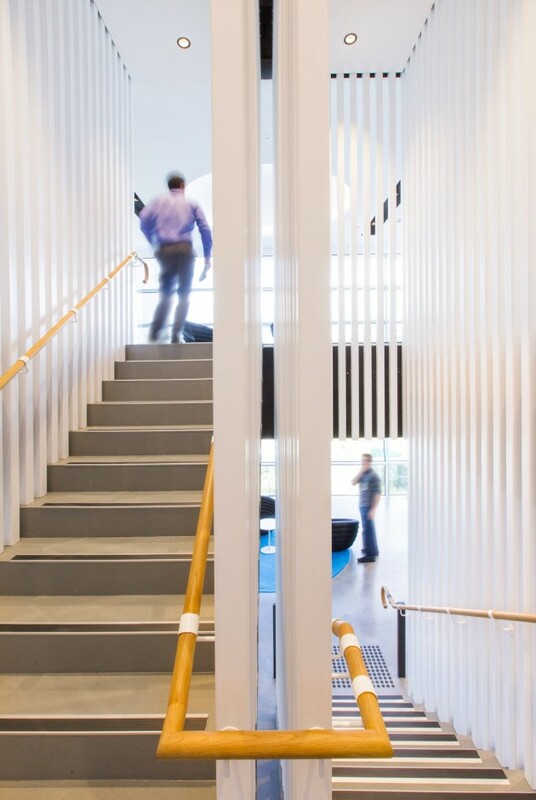 The curved junctions and undulating forms throughout the space are homage to the products that Zimmer create; sculptural and almost futuristic forms which are displayed as artwork throughout the front of house spaces, the clinical finishes balanced with detailed lighting.